This is the premier New King James Version study Bible for children. It is targeted for kids 8 to 12, and it’s in full color! 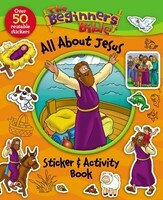 Not only is this Bible for study of biblical facts and themes, it also includes articles that are topical and applicable to your child’s daily life. This Bible has been created and designed especially for you with vibrant full color on every page! Now studying the Bible can be easy and fun. There are many themed articles placed within the Bible text to help make it easier for your child to read, understand, and learn about God’s Word. 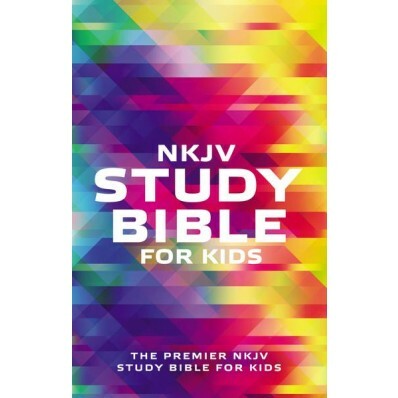 This study Bible just for kids in the trustworthy NKJV translation is packed full of more than 800 study notes to help kids understand and engage with Scripture. The Bible features book introductions, personality profiles, word definitions, maps, charts, a Bible dictionary, a concordance, and a topical index to help kids learn more about God’s Word. It also includes engaging studies on topics that are important to a child’s spiritual growth and everyday life. The Bible includes easy fan tabs to navigate through the pages. Features are integrated throughout the Bible text to prepare kids to learn how to use a study Bible so that they can use study Bibles now and as adults. By studying this Bible, your child can experience the big picture of the incredible Bible story, God’s love for you, and how to use it in daily life.